Amit Gupta is the Co-Founder, Principal Partner and President of SAGA Construction, Inc. (SAGA). Mr. Gupta is well-versed in real estate investment, portfolio management and asset optimization. In his capacity as President, Mr. Gupta designs, directs and manages the underlying operational systems that have facilitated the growth of SAGA’s real estate holdings. Being well versed in information technology, Mr. Gupta integrates cutting-edge technology into SAGA’s business processes – a philosophy which generates significant value-added dividends for the Company. Mr. Gupta also personally oversees the acquisition, development and management of SAGA’s Outer Banks rental homes and other diversified investment properties. 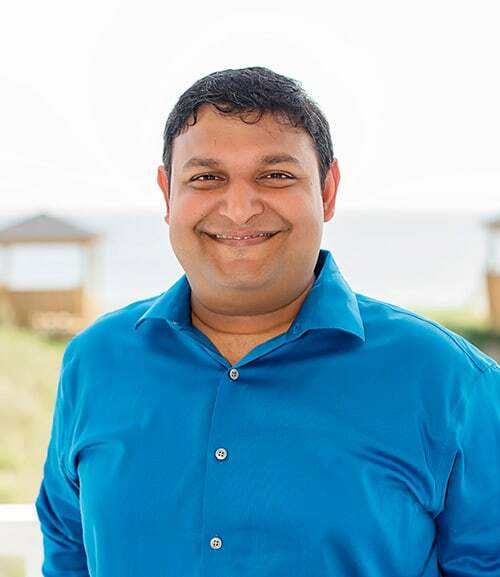 Having established close working relationships with local property management companies, Mr. Gupta consistently monitors performance trends in the Outer Banks’ vacation rental market. This particular endeavor has enabled SAGA to develop the top-performing income producing vacation homes in the Outer Banks region. Likewise, SAGA’s investors and clients have capitalized on the wealth of information Mr. Gupta regularly derives from this market-area. Mr. Gupta’s forward-looking investment approach is heavily focused on the future direction of North Carolina real estate. Specific areas of research include vacation rental properties; lifestyle communities; independent living and retirement communities; and Continuing Care Retirement Communities (CCRC’s). Mr. Gupta’s superior analytical skills and his comprehensive experience in the real estate development industry allow him to identify forthcoming market shortages. In doing so, Mr. Gupta continues to propel SAGA and its related companies into underserved market segments – directly impacting the company’s profitability and growth. • of particular note, acquired, developed and sold Pine Island – an ultra-luxury oceanfront community situated in the renowned vacation locale of Corolla, North Carolina. Prior to co-founding SAGA, Mr. Gupta served as the Information Technology Manager for Pragma Corporation, located in Falls Church, Virginia. Mr. Gupta received a Bachelor’s Degree in Business Administration (BBA) from the College of William & Mary and earned his Master of Business Administration degree (MBA) from the University of Maryland.